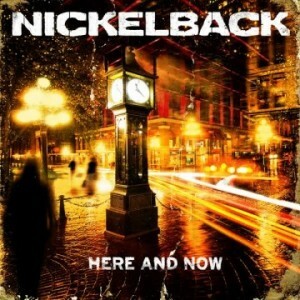 In just a few weeks, Nickelback will release their latest collection of melodic rock songs, Here and Now, on Roadrunner Records, a Warner Music Group label. Fans that can’t wait for the new songs, though, can get their ears on the Canadian rock band’s entire set via the iTunes Store from now up until the album’s release date. For those wondering if Nickelback will go out on a full-fledged tour to support the release, the answer is, “Yes.” Roadrunner Records has announced the band will go out on a world tour in early 2012 to support the release, and a plethora of tour dates will drop in the coming weeks. Like all of Nickelback’s albums, the guys self-produced Here and Now. Chad Kroeger and company recorded the songs at Mountain View Studios, Vancouver, BC, and the album is Nickelback’s seventh studio record and their follow-up to 2008’s, Dark Horse , which went 3-times platinum, selling 3 million copies on the United States and 5 million copies worldwide. Here and Now already packs two radio hits: the melodic, pop-flavored “When We Stand Together,” and hard rocker “Bottoms Up.” The pop single, “When We Stand Together,” shows the softer side of the rockers, as it strives to raise awareness about world poverty and war with a swelling, melodic chorus. Read Audio Ink Radio’s song review of “When We Stand Together,” here. In contrast, “Bottoms Up,” is a rowdy rocker, wasting no minutes getting into its mark of party-happy, in-your-face rock. Read our song review of the heavier side of Nickelback, here.